SelectDFW is about making wonderful memories while travelling. When you want to experience luxury travel in Dallas, whether for business of for leisure, DFW Transportation is here to make your journeys pleasant. When you make a reservation with DFW Transportation through our easy online booking system, you open the doors to comfortable, classy and luxurious travel. Why should travel become just another routine activity which you hardly look forward to? Make travel special with DFW Transportation. We begin with professionalism, which is the indivisible base of every business. We offer you warm hospitality to make you feel welcome. We ensure that you are safe when you are travelling with us; therefore, our drivers are extremely skilled. We bring luxury to you with a wide range of vehicles for you to choose from. 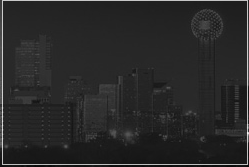 And, we bring comfort that can be reasonably afforded by travelers in Dallas. Getting to and from the airport is also easy with Dallas Airport Transportation. You can take your pick and let us know which vehicle you'd like to travel in with Dallas Airport Car Service.